Female seals don't change their spots, according to a new study by University of Alberta biologists. In fact, individual differences in boldness remain consistent over time. The study is among the first to examine boldness in wild marine mammals in the burgeoning field of animal personality. Animal personality influences many ecological processes, like how individuals interact with other species or respond to changing environmental conditions. Researchers studied female seals on Sable Island, home to the world's largest grey seal colony. Over a nine-year period from 2008 to 2016, biologist Christi Bubac and a field crew led by Fisheries and Oceans Canada measured boldness responses in the female seals when defending their offspring. "During the breeding season, we saw that females tend to behave consistently, not only between years, but also within the lactation period of a given year," explained Bubac, lead author and PhD student in the Department of Biological Sciences studying with wildlife geneticist David Coltman. "This provides an example of animal personality, with consistent individual differences observed over time." Bubac also examined how reproductive success is related to a seal's boldness or shyness. 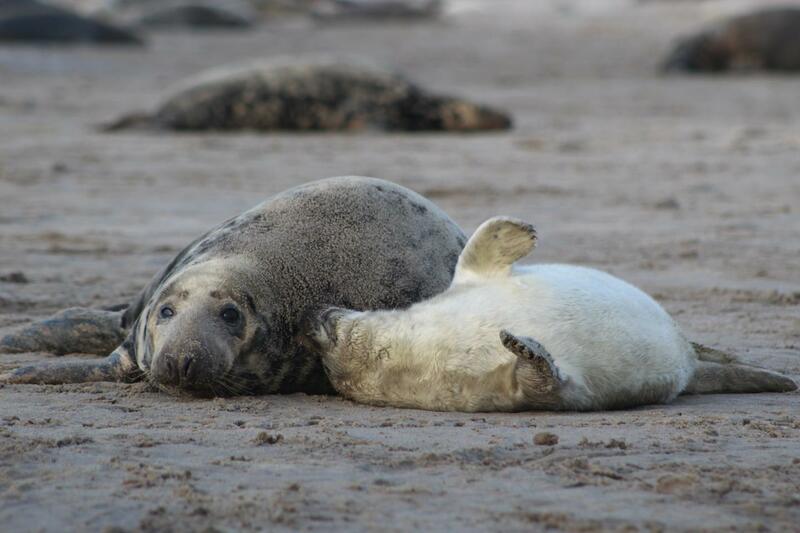 Grey seals nurse for 16 to 18 days, so mother seals have a very short window to get pups as fat as they can. During this time, pups triple in body mass. Weaning mass is a good predictor of reproductive success because it indicates the pups' chances of survival. "On average, we found that bolder females wean pups that are two kilograms heavier than the shyest females, improving their chances of surviving the first year of life," said Bubac. The study, "Repeatability and Reproductive Consequences of Boldness in Female Grey Seals," was published in Behavioral Ecology and Sociobiology.